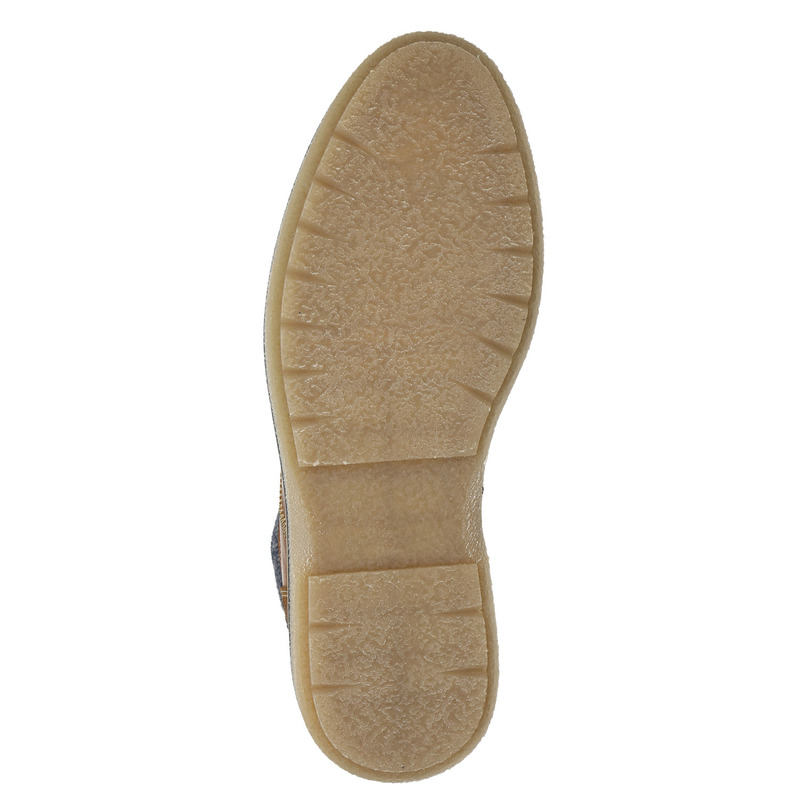 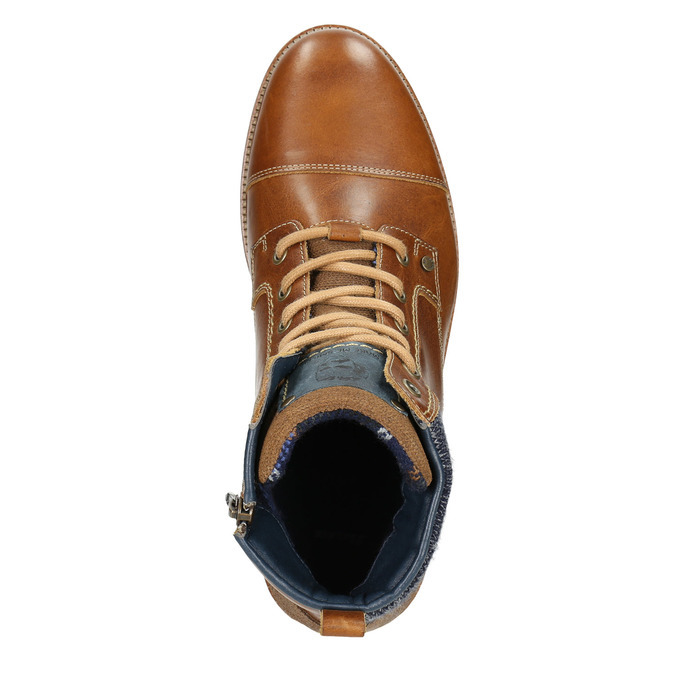 These men’s ankle boots feature a leather upper in youthful brown and a striped sole with a tread that ensures all-day comfort for your feet. 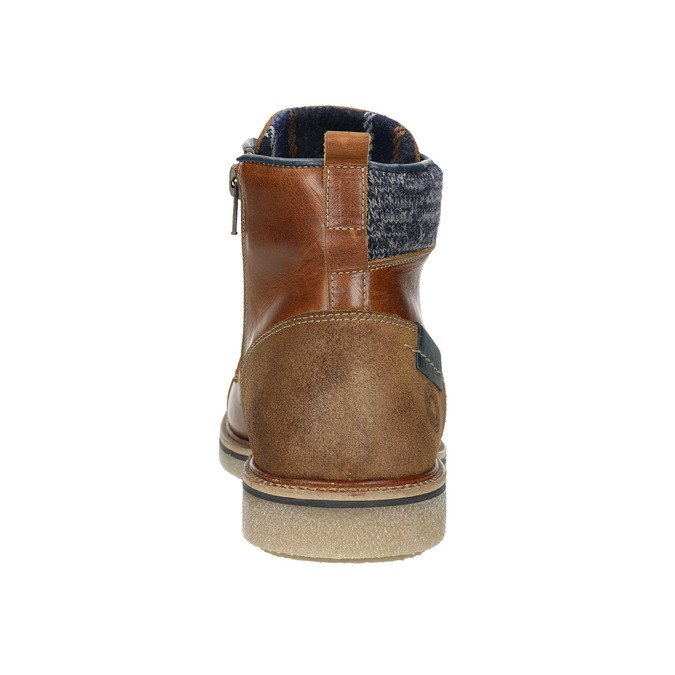 The outer side is trimmed with a striped knit, and the inner side of the shoe has a convenient zip that makes them easy to put on and take off. 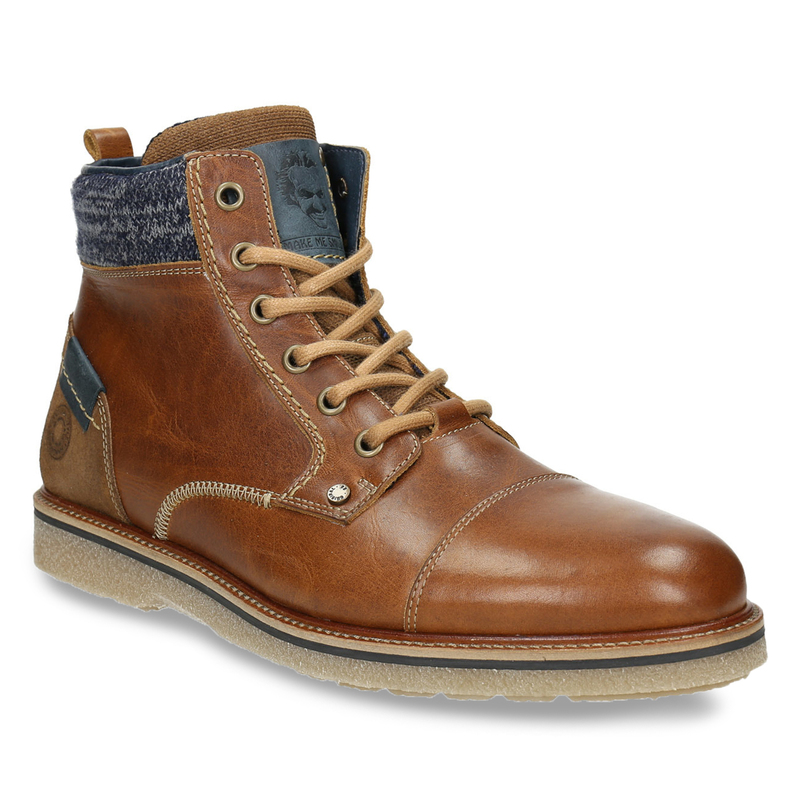 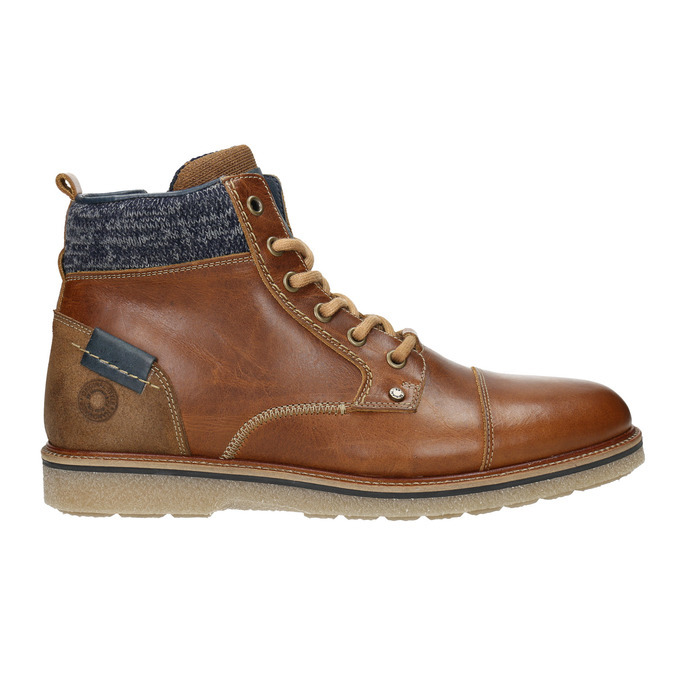 These boots will look great with rolled-up jeans as well as dark-coloured chinos.